Undefeated Australian boxer, Andrew ‘The Monster’ Moloney (17-0, 10 KOs) acknowledges he could possibly be in the toughest fight of his career thus far next week saturday, September 8 when he defends his WBA Oceania super flyweight title against former world champion, Luis Concepcion of Panama (37-6, 26 KOs) but the 27 year old has no doubt whatsoever that he will come out victorious at the Bendigo Stadium, Bendigo, Victoria, Australia. 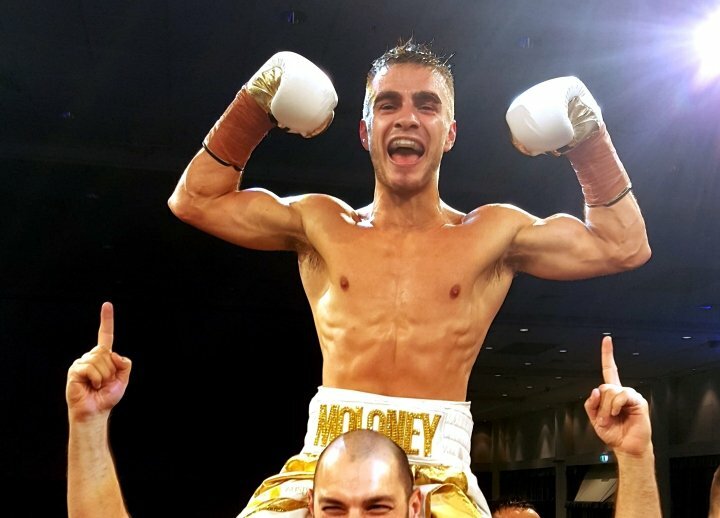 Moloney who made his professional debut in October 2014, first won the WBA regional belt in only his 6th career fight in March 2016 and has held and defended it several times since, adding both the Commonwealth and Oceania Pacific Boxing Federation (OPBF) super flyweight titles along the way. Now rated in the top ten of nearly all of the WBC (number 4), WBA (number 6), WBO (number 9) and IBF (number 11) sanctioning bodies, Moloney is ever closer to the world title than ever before but knows he must first clear the big hurdle in front of him that is Luis Concepcion who previously won the WBA super flyweight world title in 2016 and also challenged unsuccesfully for the WBC super flyweight world title back in 2015 in addition to several regional and interim titles annexed during a career which started way back in March 2006 . “I am expecting a tough fight from Concepcion, but I have trained extremely hard for this fight and had great sparring so I expect to have my hand raised at the end of the fight,” Moloney told this writer from his Australian training camp. “Yes I agree that this is expected to be my toughest fight to date but I believe I am ready for this test. There is always pressure with every fight, probably more pressure for this fight as a win could put me next in line for a shot at the world title, but I perform best under pressure so I predict a career best performance from myself on September 8,” he added confidently. Moloney, whose also undefeated twin brother, Jason Moloney (17-0, 14 KOs) holds all of the Commonwealth, WBA Oceania as well as OPBF bantamweight titles and is scheduled to challenge IBF champ, Emmanuel Rodriguez in the recently launched World Boxing Super Series, has set his sights on becoming a world champ too and believes victory over Concepcion should set up the possibility against WBA world champion, Khalid Yafai (24-0, 15 KOs) next. “Yes I really hope that it does happen soon. I am hearing that Yafai is already fighting some time around October so fingers crossed he gets through that defence and then I can get the fight with him in his first fight back early next year,” Moloney said. “I’d like to say a huge thank you to everyone who is following and supporting my career. These are very exciting times at the moment and hopefully we are not to far away from achieving my dream of becoming world champion,” he said.